BETHLEHEM — A freshman at Bethlehem Central High School has been selected as one of four Teen Finalists for NASA’s Mars Medical Challenge after designing a medical device intended to help astronauts stay healthy on a mission to Mars — a mission that NASA plans to launch in the early 2030s. 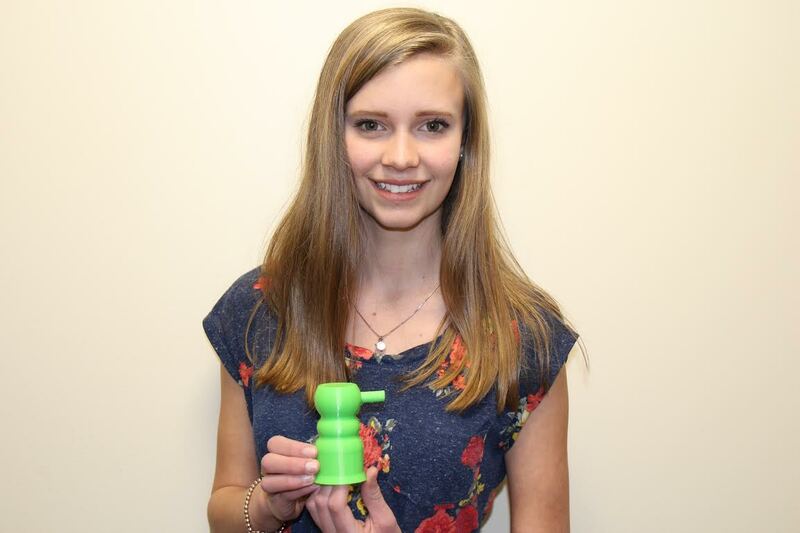 Brianna Balzan’s medical invention was chosen from more than 750 submissions nationwide. The Mars Medical Challenge, offered through Future Engineers, is an education platform that hosts and develops design challenges for young innovators. In September of 2014, NASA launched the first-ever Zero-G 3D Printer — built by Made In Space — to the International Space Station aboard SpaceX-4. To celebrate the launch of this “’In Space Manufacturing’ revolution,” which NASA believes will help make deep space travel a reality, the American Society of Mechanical Engineers (ASME) Foundation and NASA partnered to develop a series of challenges focused on solving real-world space exploration problems using 3D printing. In Balzan’s Introduction to Engineering and Design class at BCHS, led by Technology Teacher Kevin Shannon, she researched, developed and built an object that she calls the Blood Circulation Assistant (BCA), a device designed to increase blood flow to specific areas of the body. Due to the lack of gravity in space, Balzan said, impeded blood circulation is a common issue facing deployed astronauts. Balzan’s BCA is a ridged cylinder made of Ninjaflex – a flexible, elastic and high strength polyurethane-based 3D printing filament – with a nozzle and plug that creates a vacuum between the cup and skin when squeezed and sealed. The suction created by the BCA would draw blood toward any area of the body affected by a lack of physical activity or low gravity. Balzan said she got the idea for the BCA from cupping therapy, a form of ancient Chinese medicine sometimes used to treat athletic aches and pains, increase blood flow and relieve inflammation. Cupping therapy drew worldwide attention after Michael Phelps used it during the Olympics. After submitting her initial design, Balzan was selected as one of 10 semifinalists and then advanced to the final round where four students are competing for the top design prize — a trip to Houston, TX and a tour of the NASA Johnson Space Center. Those in the final four, including Balzan, have also been awarded MakerBot Replicator Mini 3D printers for their school district. The next step is to complete a finalist interview with eight judges, including two NASA employees, who will decide on the winning submission. Other finalists include the inventors of a Flex Brace, a dual IV/Syringe pump (Earth IVs use gravity) and a space surgery tray to hold dangerous surgical items in place during a procedure. The Mars Medical Challenge winner will be announced on Mar. 28. “BCSD wishes Balzan the best of luck,” said BCSD Communications Specialist Hanna Teal.